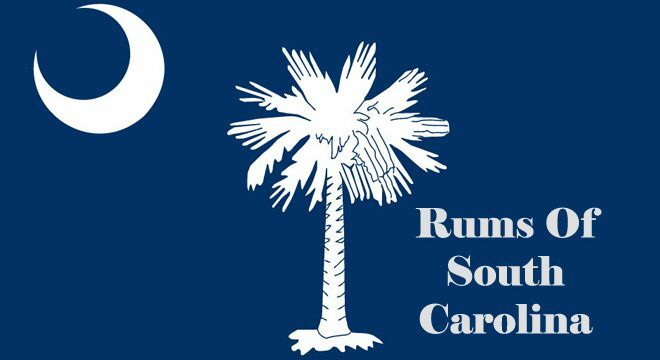 South Carolina’s economic and cultural ties to the Caribbean date to the state’s settlement. There is no doubt that South Carolina’s “Peculiar Institution” will forever be a stain on it’s history but it was the slave trade that connected the state to the sugarcane fields of Barbados, Jamaica and other parts of the Caribbean. 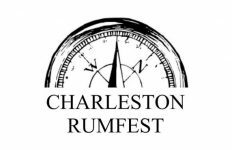 The rebirth of South Carolina distilling over the last several years has revived the state’s rum past and over the course of 2017 it is my intent to visit each South Carolina rum producer, sample their products and discover their connection to this spirited past. 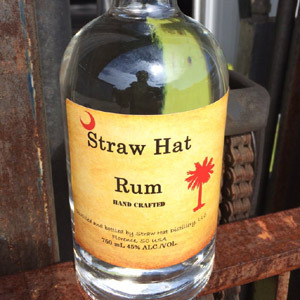 Below is a list of all South Carolina rum’s currently being produced. 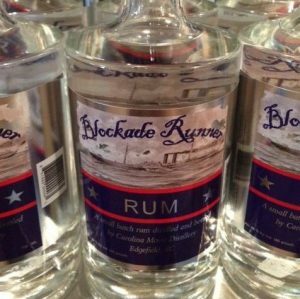 The 80 proof Blockade Runner Rum will be available in three varieties... White, Aged and Spiced. Come on in for a taste and be a South Carolina Blockade Runner. 80 proof/40% ABV. Following the grand traditions of South Carolina and our glorious past, May Lady Aged Rum is our latest spirit developing a true following. 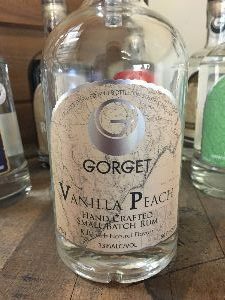 It starts with our beautiful white rum, then aged over time in charred peach wood from local peach orchards. Peaches are the name of the game in Edgefield County and in fact, The town of Johnston proclaims itself to be the Peach Capitol of the World. Well, It only seemed natural for us to try an aged peach wood product and the final results are astounding. Smooth, amazing wonderful nose with hints of the fruit but surprise... there no peach fruit used in the production at all! This is no girlie drink... although many women seem to enjoy it! 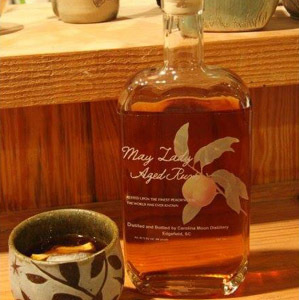 Come try our May Lady Aged Rum. 80 proof/40% ABV. All natural spiced rum, oak aged with autumn cinnamon flavor. Slow crafted in copper stills. 100 Proof/50% ABV. All natural spiced rum, we call it "Christmas in a cup". Slow crafted in copper stills. 100 Proof/50% ABV. Styled after a cachaça using a molasses base instead of cane juice. Aged to taste in used whiskey barrels. Sweet with notes of vanilla. Earthy notes on the finish. Available in 375ml & 750ml. 86 proof/43% ABV. 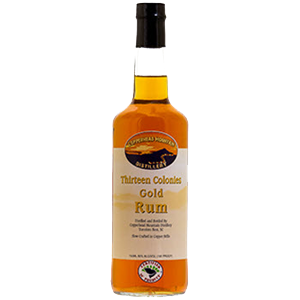 Our Gold Edition is nice sipping rum. 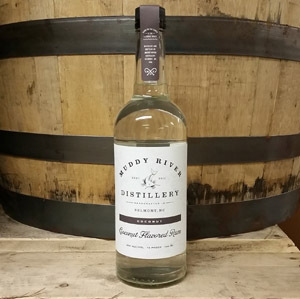 It is crafted by allowing our robust Silver Edition Rum to rest in premium Kentucky Bourbon barrels for six months. The oak and char from the barrel and the devil’s cut of bourbon come together to create a unique smooth sipping rum. 80 proof/40% ABV. COMING SOON: The older brother to the Gold Edition; the Gold Reserve is crafted by allowing our robust Silver Edition to rest in premium Kentucky Bourbon barrels for a full year before harvesting. 80 proof/40% ABV. 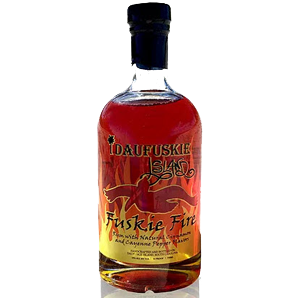 Our Fuskie Fire is a hot cinnamon rum with a kick of cayenne! Each batch is handcrafted using 2500 cinnamon sticks and 6 ounces of pure cayenne pepper. The result is a strong all natural cinnamon flavor with a cayenne kick at the finish. This a smooth version that is not too sweet or too thick. 70 proof/35% ABV. Our Silver Edition is a heavy body white rum. It has a robust flavor and a creamy mouth feel. It is made using the finest Demerara sugar available. 80 proof/40% ABV. Our Spiced Edition is crafted from our Master Distiller’s secret recipe. It is all natural and contains 9 great spices. The flavors are bold and are reminiscent of the holidays. 80 proof/40% ABV. Our Vanilla Rum starts with a natural vanilla extract that we create using our Silver Edition rum and big, beautiful vanilla beans from Maui. 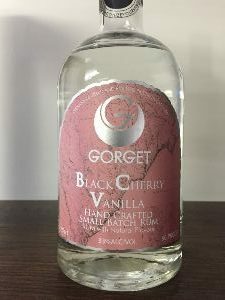 We use the extract to flavor the rum and each bottle gets a full size vanilla bean dropped prior to corking to give it a one of a kind look and feel. 80 proof/40% ABV. 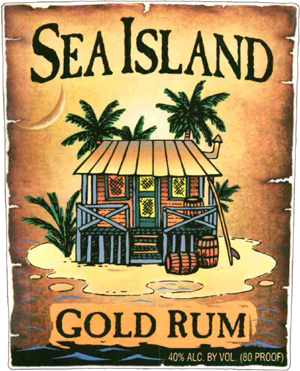 Sea Island Gold Rum is handcrafted using sugarcane from South Carolina, Florida and Louisiana. 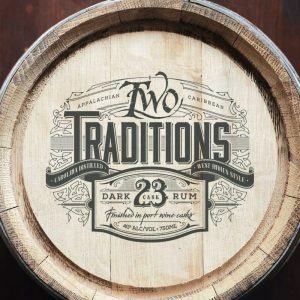 We then age our rum in used Buffalo Trace Bourbon Barrels to create the most unique and tasteful Gold Rum available. 80 proof/40% ABV. 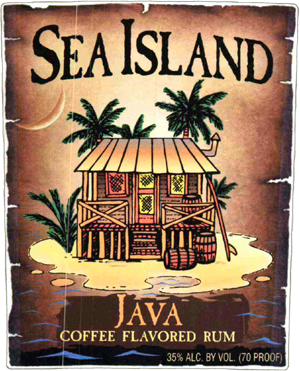 Sea Island Java Rum is handcrafted using sugarcane from South Carolina, Florida and Louisiana. 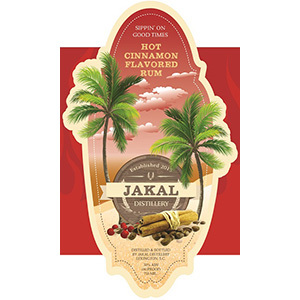 We then infuse coffee and spices to create the ultimate spiced rum. 70 proof/35% ABV. Sea Island Spice Rum is handcrafted using sugarcane from South Carolina, Florida, and Louisiana. 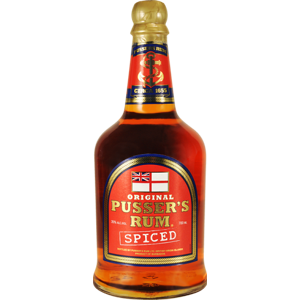 We then add a blend of spices, including vanilla, to create the smoothest spiced rum with a kick. 70 proof/35% ABV. Aged for one year in heavy char, new white oak barrels. The barrels are seasoned with ground cocoa, vanilla, and raisins. 90 proof/45% ABV. Unaged, blackstrap molasses rum. 96 proof/48% ABV. 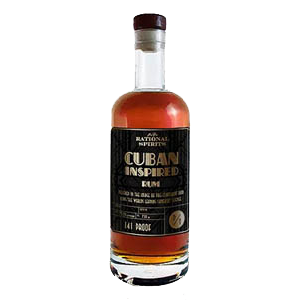 Aged 6 months in used Woodford Reserve casks, this rum boasts a strong rye whiskey undertone and notes of vanilla and cinnamon. 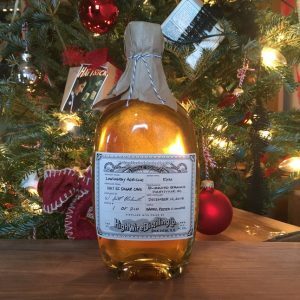 Our Belonger's Rum is a great spirit for a dark and stormy and pairs perfectly with Bittermilk's Smoked Honey Whiskey Sour cocktail mixer (also available in our emporium). 80 proof/40% ABV. 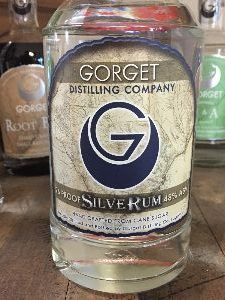 Silver Rum 80 proof/40% ABV. 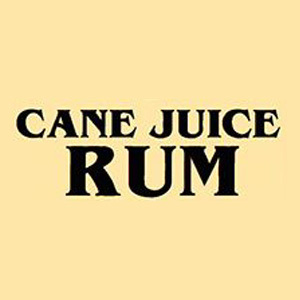 "Distilled from 500 gallons of freshly pressed, 100% SC cane juice grown at Blizzard Branch in Middendorf, SC. 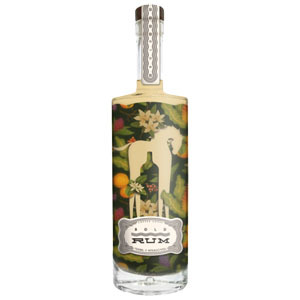 Our version of rhum agricole is made in the traditional West Indian style and is one of only two domestically produced agricoles in the country. We delicately age this spirit for 11 months in toasted barrels. 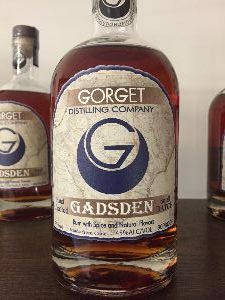 Lowcountry Agricole will be released in an extremely limited edition of 210 bottles, and it is very likely the finest spirit we have ever produced." 88 proof/44% ABV. 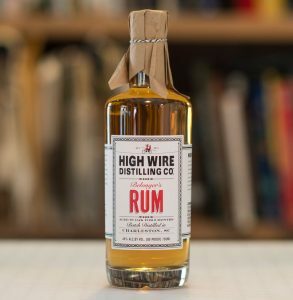 "This barrel aged rum is our flagship product, and is what makes our distillery unique. 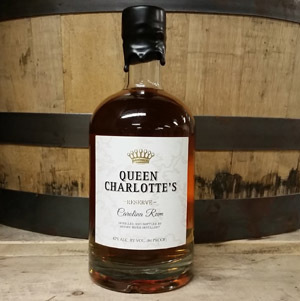 It is hand crafted using a granulated molasses base, and aged in pre-used port wine barrels. We use 23 of these barrels, which are made of charred American Oak, and are rich in flavor. 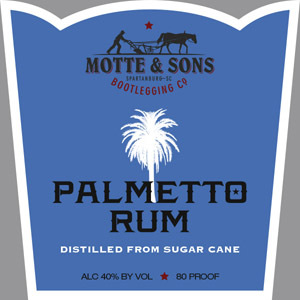 The result is an exceptional bourbon-esque rum with a delightfully complex palate." 80 proof/40% ABV. 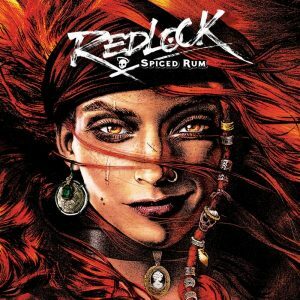 "Named after the infamous Jacquotte Delahaye, or “Back from the Dead Red,” this spiced rum is created using a hand-crafted blend of traditional Caribbean spices. Our spice blend is made in-house, and cannot be found anywhere else in the world. 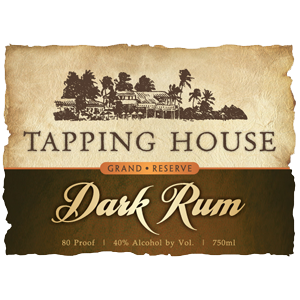 On the palate, this rum is vanilla forward, with notes of allspice and nutmeg." 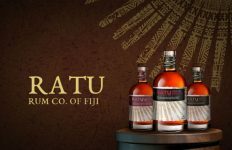 "Crafted from a granulated molasses base and distilled to the highest legal level of purity, this platinum rum is light bodied and clean. 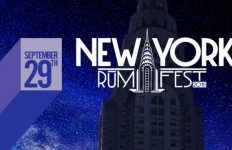 It is the base for all of our other rum products, and a fantastic product for mixing diverse cocktails." 80 proof/40% ABV. 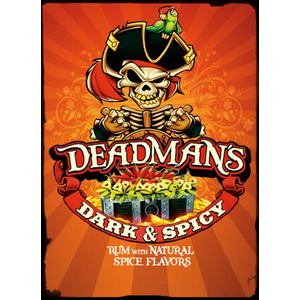 "A white sand beach of delicious, all natural flavor, this rum is lightly sweet and perfectly balanced with a note of toasted nuttiness. 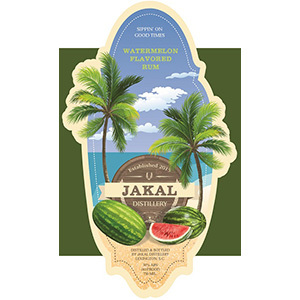 Great for mixing in your favorite tropical cocktail and savoring in the sunshine." 80 proof/40% ABV. From the Two Traditions Toasted Coconut's label: "Our small batch platinum white rum infused with fresh Cayman coconut flavor. 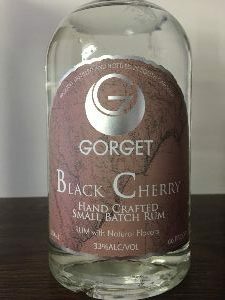 Recalls savory macaroons, pastries, and the tropics"
"Just like a cup of steaming black coffee in the morning, this rum invigorates the palate and excites the senses. It is one of the only products of its kind and is sure to delight coffee lovers and dessert lovers alike." 80 proof/40% ABV. 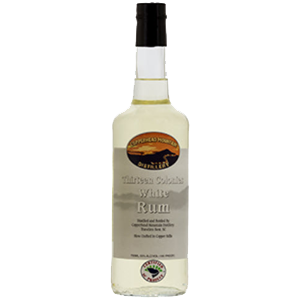 From the Two Traditions Espresso's label: "Our small batch platinum white rum infused with Italian roast arabica beans. Notes of rich bittersweet crema and Blue Mountain terroir." 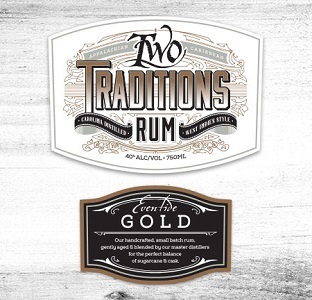 From the Two Traditions Gold's label: "Our handcrafted, small batch rum, gently aged & blended by our master distillers for the perfect balance of sugarcane & cask." 80 proof/40% ABV. Coconut Rum One taste of this and you’ll yearn for a lounge chair on a Caribbean beach. But an umbrella on the South Carolina shore will do. 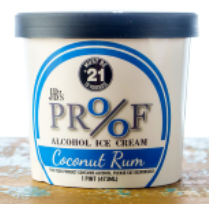 The coconut flavor is over-the-top and the rum just completes the daydream. Peach Rum Warmer weather is here, and we're craving lighter flavors with a front porch feeling. Sweet as southern peaches, but with a pirate-Caribbean bite (well, not too much of a bite really). 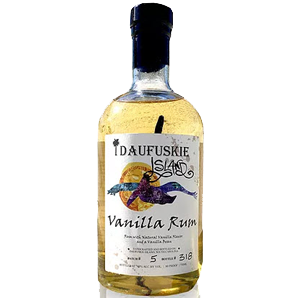 Vanilla Rum With our three vanilla flavors, it’s clear we understand its popularity. 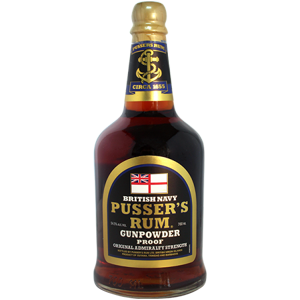 And we also know rum is pretty well-liked too (maybe it's the "vanilla" of alcohols?). 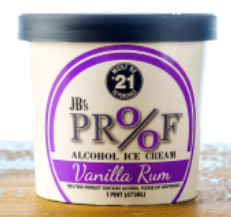 So we combined the two famous flavors to make one darn good ice cream. 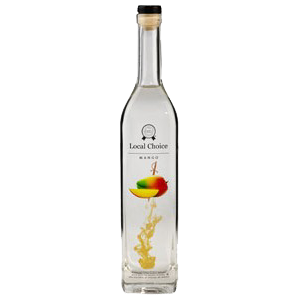 We captured tropical flare in a bottle with our all-natural Mango flavored Vodka/Rum blend. 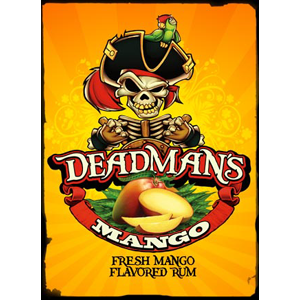 Intense all-natural mango flavor infused perfectly with sweet rum and dry vodka. Try a Mango Mojito at midnight. 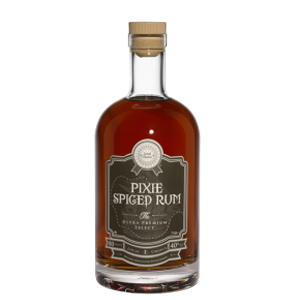 Pixie Spiced Rum is blended with a secret combination of spices for a drink so smooth and uniquely flavored that you’ll swear there must be pixie dust inside. Discover for yourself why Pixie Spiced Rum is Cola’s favorite rum. 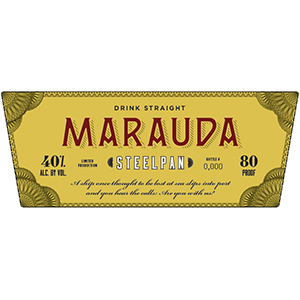 Marauda Steelpan is a blend of 3 year old white oak barrel aged rums from Trinidad, Jamaica, and Guyana. 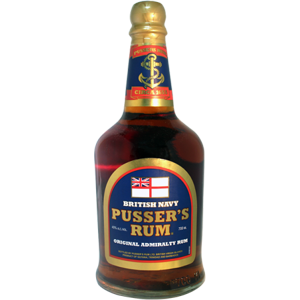 Blended with 60% Trinidad column-stilled, 30% Guyanese pot-stilled, and 10% Jamaican pot-stilled. The second generation of the Lost Spirits classic. Bigger, richer & slightly lower in alcohol at 141 proof. 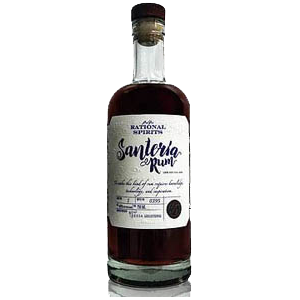 The first rum to use a lab grown propionibacterium based "dunder." Ancient Jamaican techniques meet the 21st century. 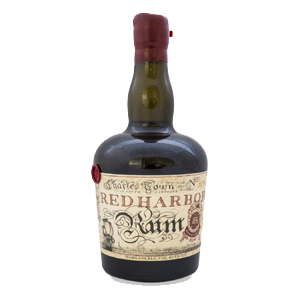 Red Harbor Rum is a new rum from Charleston, South Carolina that aims to revitalize interest in America’s oldest spirit – Colonial Rum. Made with premium southern molasses from Savannah, Georgia. 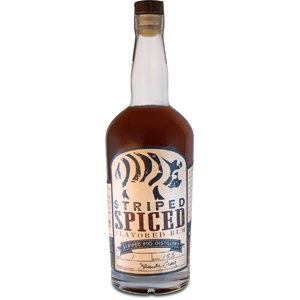 Striped Rum's rich flavor is distinctive and different from anything else on the shelf. With heavy notes of vanilla and butterscotch, this is not your average white rum. 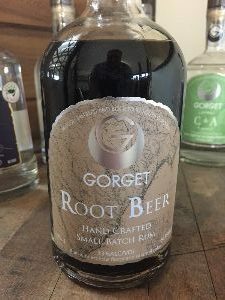 It can be enjoyed straight, but its flavors are especially hightlighted when shaken with a simple mixer and served over ice. 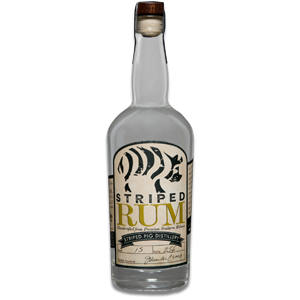 We heard our fans' wishes and took our popular Striped Rum and added some more delicious flavors. 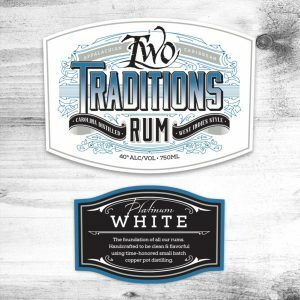 While still carrying the white rum's tasting notes of vanilla and butterscotch, we added more natural flavors like all spice, clove and cinnamon. 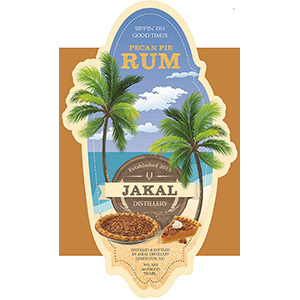 This is not your typical spiced rum. 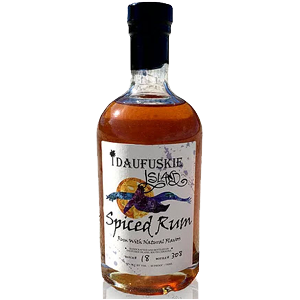 Mix it in a cocktail or enjoy it our favorite way, as a shot, and you will not be disappointed in the unique and complex flavors of this spiced rum. Distilled using an innovative, yet completely natural, process. 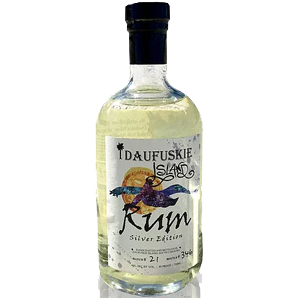 Unlike simple filtration, this proprietary process removes a greater amount of harsh tasting minor alcohols and free radicals, yielding top quality rum. Silver medal - 2014 LA Spirits Competition. 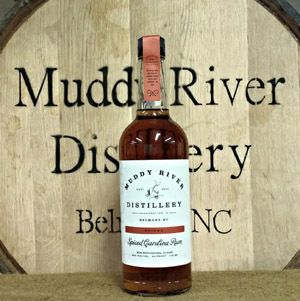 Muddy River's first product Carolina Rum launched in September 2012. 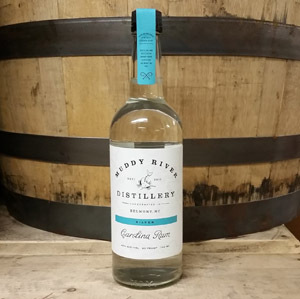 Our small batch rum is produced in a one of a kind still specifically designed and built by the company’s founder and head distiller to produce a premium quality rum with a distinctive, smooth taste. 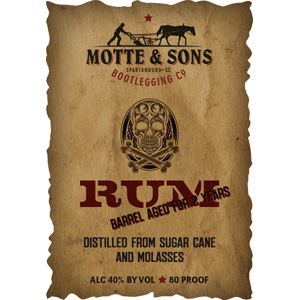 This rum has won awards including the Big Sip Cup. 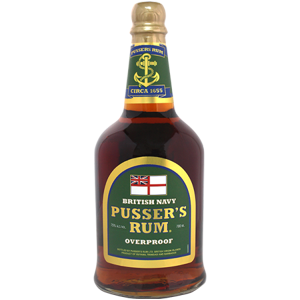 Forbes magazine called it the “Single Malt of Rum,” we call it “Liquid History.” Pusser’s Rum Aged 15 Years is crafted in small batches. 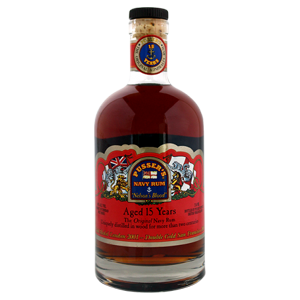 It is a superb, coveted and limited 15 year aged rum that continues to win awards and accolades amongst peers. 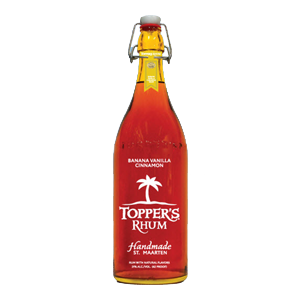 Topper's Banana Vanilla Cinnamon Rhum abounds with the flavors of sun ripened bananas, fresh vanilla beans and cinnamon sticks. It's blended to perfection so that each sip is mellow, smooth and every all natural flavor is equally represented. It doesn't get any more Caribbean than this! 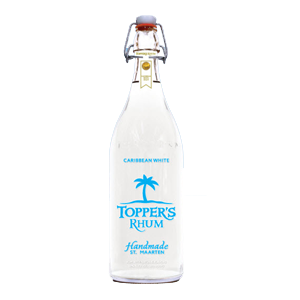 Topper's Caribbean White Rhum is a superior white rhum that is crystal clear and mild with an extraordinarily smooth finish without any burn. Truly the finest drinking rhum in the world. 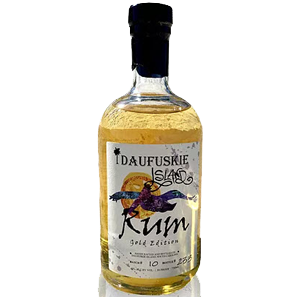 Enjoyable on its own, this light rhum is also perfect for mixing into any great cocktail. Topper's Coconut Rhum has an incredible flavor and aroma that tastes like a day at the beach. 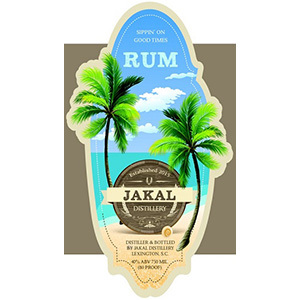 Natural fresh coconut and premium Caribbean rhum are expertly blended to achieve a smooth finish. 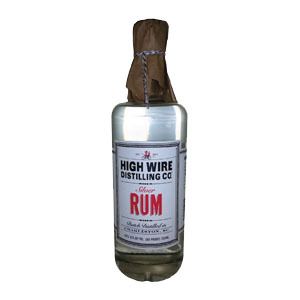 This rhum is delightful on the rocks, with juice or mixed with pineapple for the best Piña Colada you will ever taste. 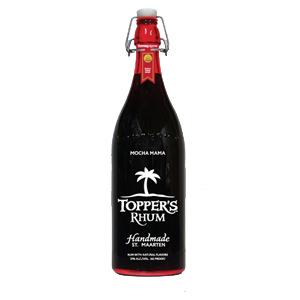 Topper's Mocha Mama Rhum brings together an outstanding blend of premium Caribbean rhum, rich roasted coffee and decadent chocolate with notes of vanilla in one indulgent spirit. 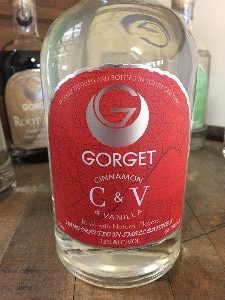 This is a fabulous after dinner treat, addition to your coffee any time of day. 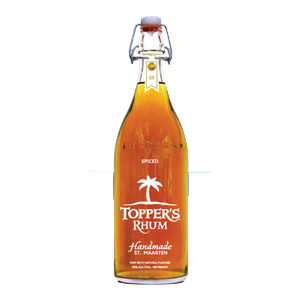 Topper's Spiced Rhum is an ultra smooth blend of premium Caribbean rhum and the abundant flavors of the finest island spices. 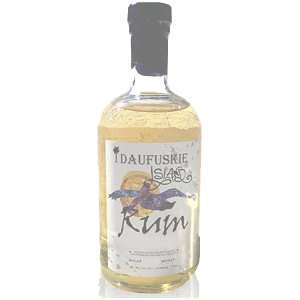 This medium bodied spiced rhum is perfect to sip straight, over ice or mixed with cola. This masterpiece is ready to be enjoyed! 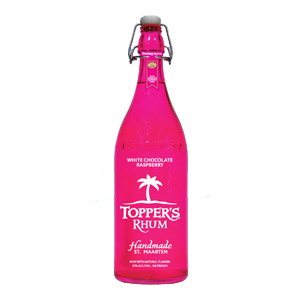 Topper's White Chocolate Raspberry Rhum is an exceptional blend of flavors including premium Caribbean rhum, natural raspberries and creamy, rich white chocolate. 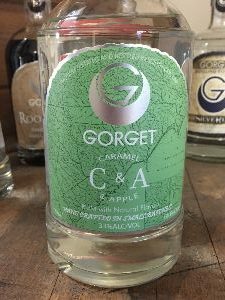 This astounding rhum is equally enjoyable over ice or as a premium ingredient in a variety of cocktails.